Yamato fitting out at the Kure Naval Base, Japan, 20 September 1941. 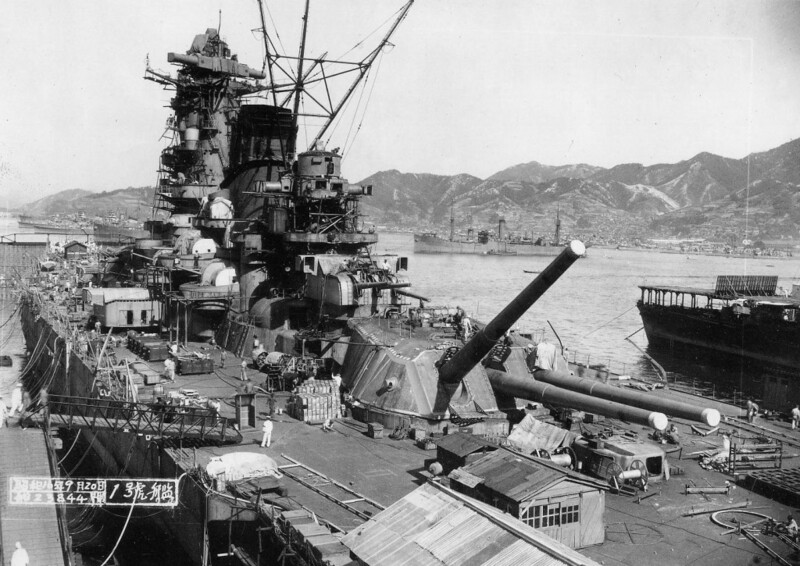 The aircraft carrier on the right is Hosho. The supply ship in the middle background is Mamiya. Source: U.S. Naval History and Heritage Command Photograph (# NH 63433), courtesy of Lieutenant Commander Shizuo Fukui. If you have spotted any errors on this page (Battleship Yamato fitting out) or have anything to contribute please post it on the battleship forum.